One of the reasons behind making Strike- Jobs was to combat the rising costs of already pricey recruitment processes. Strike-Jobs allow recruiters to post a free job advert for 30 days along-side many other benefits. 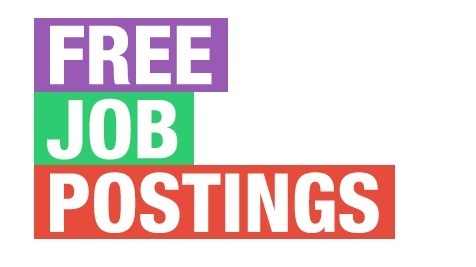 There are a lot of free job posting sites in the UK that offer free online job advertising some much more productive than others , they may not necessarily bring you the results you expect, and in some cases no results at all. You can also post a free ad with Strike-Jobs.co.uk. The new job board receives around a thousand new CV’s per day from active job seekers and a great place to post your ads for free. The trial lasts for 30 days with unlimited postings. Strike-jobs will then forward all your free job ads to 42 linked sites to promote and generate as much response as possible. They also attach the company logo to every vacancy which gives your job a little added extra and some great PR for the company. For taking up a free trial with Strike Jobs and posting your ads for free, we will also email shot, job alert vacancies to candidates on our database on your behalf to attract only the best candidates. If you decide to stay with us after the 30 day free trial, you will also be able to access our free CV database to help you choose the perfect candidate for your free job offer. This cost is 45% cheaper than the leading competitors for the same amount of response. Moving forwards our Clients are realising that you really CAN bring down your advertising budget over the year and have the same if not better service. Customer service is key here with every client getting a quick response to technical issues and login problems. We strongly believe in “try before you buy”. There is plenty of free recruitment advertising sites for you to choose from all offering something different. Whether you are looking to outsource a particular project or want a free advertisement on the internet for your junior programmer, there will be a free job posting site for your recruitment needs. Give Strike-Jobs a call to find out more about our free trial and finding your next employee. This entry was posted in General Posts and tagged free job posting, job posting, job vacancy, online job posting, post ad for free, vacancy posting. Bookmark the permalink. At Placement Mumbai, we always stand by our clients 100%. Many companies offer recruitment and placement services but due to our teams’ efficiency & dedication we are among the top most placement agency in Mumbai. We believe that no other placement agency can offers the level of service and support that we give to our each and every client. These sites are very helpful for us.Please continue this kind of posts.